Cultural journalist, writer and translator. 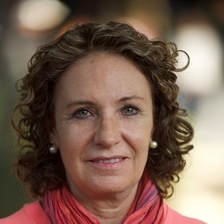 She has published books such as Vías alternas, conversaciones sobre literatura, periodismo y humanidades, Cuaderno Frontera, El león y el arcángel and Exilio y Universidad: argentinos en México 1976-2016. She was Assistant News Manager at TV UNAM and is currently Head of News at Canal 22. She also writes for Milenio newspaper’s cultural magazine, Laberinto.